The brand-new Jeep Wrangler JL model can already be counted as a success for the Jeep brand. During the first few sales months for this latest generation of Wrangler vehicles, Jeep has already broken its record for the most Jeep Wranglers sold in a month. What’s more, it has broken this record twice. Still, the Wrangler wouldn’t be where it is today without the previous Jeep Wrangler JK model. After more than 12 years of Wrangler JK production, the last Jeep Wrangler JK vehicle has rolled off the assembly line. 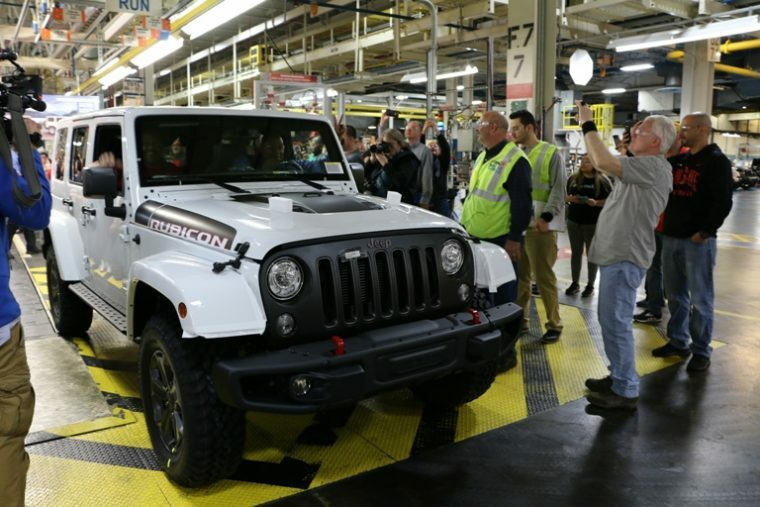 The final model for the Jeep Wrangler JK left the FCA US Toledo Supplier Park location on April 27. The Wrangler in question was a Rubicon Unlimited model with a white exterior. Employees at the Toledo Assembly Complex marked this bittersweet occasion by taking pictures with the vehicle before it left the factory floor. After leaving the plant, the final Jeep Wrangler JK vehicle is set to become a show property for the Jeep brand. It won’t take long for the workers at the Toledo Assembly Complex to get back to work. The facilities where the Jeep Wrangler JK was once assembled will now be utilized for the upcoming Jeep truck model. If you’re a fan of the previous generation of Jeep Wrangler vehicles, then you’ll have to act quickly if you want to own one of the final Jeep Wrangler JK vehicles.